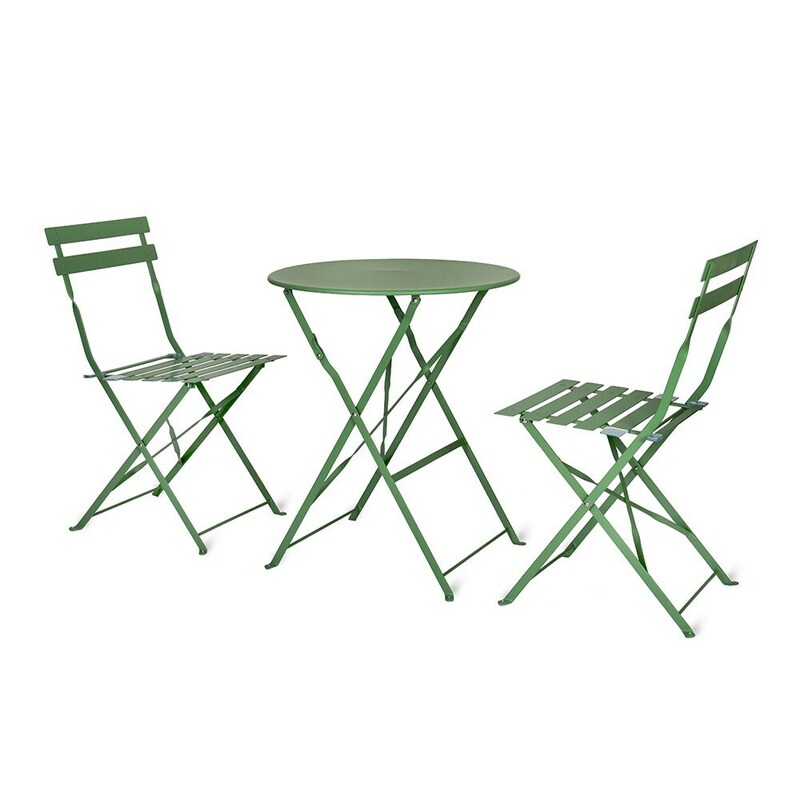 Enjoy lazy lunches, dinner and drinks in the sun with this Rive Droite Bistro table and chair set. Made from powder-coated steel finished in striking Greengage green, the set includes a petite round table and two chairs, providing ideal seating for the patio, lawn, balcony or terrace. Folds away neatly for storage when not in use. Please note: we would recommended moving the set indoors during periods of bad weather.